He's been wondering, he said in his "Murphy's Law" column in "Urban Milwaukee," why former Gov. Scott Walker and his Republican colleagues in the Legislature continually refused these past several years to consider raising user fees on large trucks despite the crisis facing the state Department of Transportation's finances. And now that the current governor, Tony Evers — hoping to raise $36 million to help bolster the transportation budget — has proposed a 27 percent increase in registration and title fees for big trucks, the Republican majority in the Legislature has been mostly silent on the issue. Even Rep. Amy Loudenbeck, R-Clinton, who two years ago proposed increasing truck fees only to be thwarted by the state Senate, hasn't said anything about Evers' plan. The only one to speak out has been Sen. Tom Tiffany, the anti-environmentalist from Minocqua who, at a recent budget meeting, asked DOT Secretary-designee Craig Thompson — who is pushing the increase in fees — "Why are you guys hammering trucks?" The big trucking industry, after all, has been a major contributor to Republican politicians here in Wisconsin. The Wisconsin Democracy Campaign pointed out, for instance, that Walker himself garnered more than $700,000 in contributions from the industry between his election in 2010 and the end of 2016. Tiffany himself, Murphy pointed out in his column, received $9,700 between January 2012 and July 2018. As readers of this column know, big trucks have also been a huge contributor to the deterioration of our highways. For years, I've been calling for trucking fees that more accurately reflect the amount of damage they cause. Those who study the phenomenon estimate that an 80,000-pound, 18-wheeler semi does as much damage to pavement as do 9,600 cars. And that's ignoring the fact that trucks have virtually taken over parts of the interstates as trucking volume has increased exponentially since the national highway system was built. In many places it's become a volatile mix of and big trucks and little cars vying for space. Existing truck fees, both in Wisconsin and in most states, barely cover 35 percent of the damage they cause, according to the American Automobile Association and the Federal Highway Administration. Yet the trucking industry lobby has been successful in killing state and federal legislation that would require these heavy loads to pay a fair share. Remarkably, while there is little dispute over the damage trucks inflict on the highway system, it continues to push for raising the weight limits and length restrictions on big semis. Not only that, it has been as successful at loosening restrictions on where big trucks can travel. SPRINGFIELD, Mass. (WWLP) - A big rig got stuck under a bridge in downtown Springfield last Friday, an accident that has happened there before. The tractor-trailer driver could lose their job and be held liable if their trucks damage a bridge. Crews had to remove an 18 wheeler that got caught under the Arch Bridge on Main Street Friday afternoon. Most bridges that pass over streets like the one on Main Street have signs that tell tractor-trailer drivers if their truck can pass. The clearance for the Arch bridge is 12 feet 7 inches. United Tractor Trailer Driving School teachers in Holyoke tell their students to always be aware of these signs and not rely on the GPS. Instructor Michael Payne explained, "They are responsible, not the GPS. a lot of them still utilize the GPS as the main mode of getting around. And all these bridges, it's clearly marked." Springfield DPW Director Chris Cignoli told 22News the Arch Bridge on Main Street is owned by Amtrak, so they would perform an inspection of the bridge after any tractor-trailer accident. Payne said if a truck driver isn't sure whether they can pass under a bridge, they should put on their four-way flashers and call the authorities to help turn them around. A California truck driver was shot and killed alongside eastbound Interstate 20 near Westbrook, Texas Thursday, April 18. His driving partner was wounded in the same incident, which occurred at about 6:50 a.m. Texas Rangers arrested the shooter at the scene. 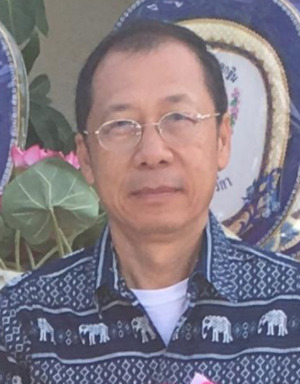 Dead is 56-year-old Noppol Pantiyanurak. His driving partner was not identified. 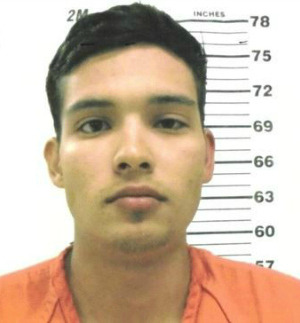 Arrested and charged with murder, aggravated assault causing serious bodily injury and aggravated assault with a deadly weapon is 20-year-old Brandon Christopher Madrid from Odessa. He is being held on $700,000 bond. KTXS-TV reports police believe Pantiyanurak pulled his tractor-trailer over after a car began flashing its lights. It appears Pantiyanurak was shot from behind. Police have not suggested a motive for the shootings. A Department of Public Safety trooper stopped for what appeared to be a motorist in need of assistance and discovered the shootings. Westbrook is about halfway between Abilene and Midland. Survey says trucking is one of worst jobs; how do you feel? There are delays at shippers and receivers, bad directions, bad weather, bad traffic, bad drivers, bad food, bad roads, and on and on. But, still, do you consider truck driving — your chosen profession — to be one of the worst jobs in America? A recent survey by CareerCast thinks so. They ranked the worst jobs in the U.S. based on job stress, satisfaction, safety, pay, future job prospects, and job security. And, yes, truck driving was 17th. It was between construction worker (16th) and buyer (18th). Though the projected job growth for truck drivers is only slightly lower than for the average American job, this career could be at risk of disappearing as companies like Tesla continue to develop autonomous driving technology. Driving a truck can be a difficult and stressful job. Drivers are responsible for vehicles that often weigh over 26,000 pounds and often lose sleep to meet strict delivery deadlines. So, when you’re stuck in traffic or have to wait three hours to unload and have just two hours left on your clock, just think, you could always be driving a busload of kids or be stuck in traffic in a cab in downtown Chicago. 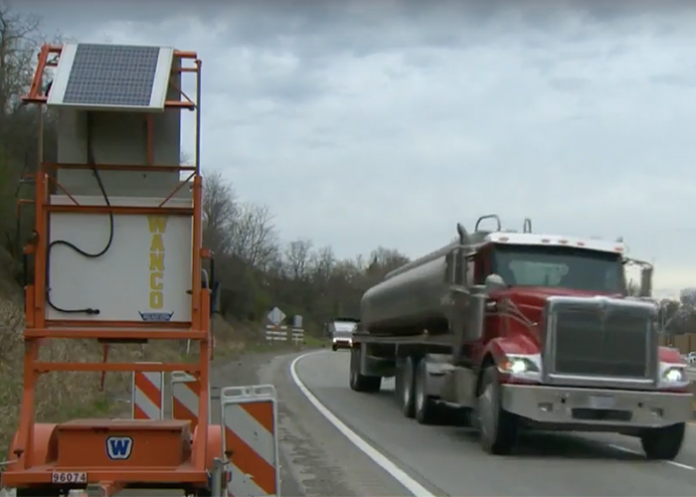 Starting later this year, PennDOT will begin using an “automated work zone speed enforcement device” designed to catch drivers exceeding the speed limit in road work zones, according to WTAE. The speed enforcement device will work by taking photos of the license plates of speeding vehicles. Any driver traveling 11 m.p.h. or more will receive a warning in the mail on their first offense. On the second speeding offense, a driver could face a fine of $75 to $150. Revenue generated by the speeding citation will be divided between state police, the Motor License Fund, the Pennsylvania Department of Transportation, and the Pennsylvania Turnpike Commission. Pennsylvania transportation officials pushed for the automated speed enforcement technology following the deaths of two workers who were struck by vehicles while performing road work in 2018. VANCOUVER, Wash. — Instructional Technologies, (ITI), providers of training solutions for the transportation industry, is making available On Ramp ELDT (Entry-Level Driver Training). The online training, testing and recordkeeping system helps CDL schools meet the new federal entry-level driver training standards that go into effect in February 2020. On Ramp meets entry-level driver training mandatory theory training requirements on the 31 core curriculum areas required under the new standards, eliminating the need for CDL schools to create new ELDT-compliant content, McMillan said, adding that ITI evaluates and updates content on a regular basis so schools remain compliant. After students’ complete courses, instructors can use a Group Training Module to lead in-class discussions about real world situations, answer individual questions, and cement learning points. In addition to providing ELDT-compliant training, On Ramp includes a custom-built LMS that records the completion of mandatory courses, regardless of whether students took the course individually or in a group setting. This capability makes it easier for CDL schools to meet the recordkeeping requirements of the ELDT mandate. McMillan said On Ramp can also automatically send student completion data, including proficiency scores, to the DOT’s Training Provider Registry (TPR). While details of the TPR are pending, DOT will use the registry to keep track of approved training providers and drivers who complete training. 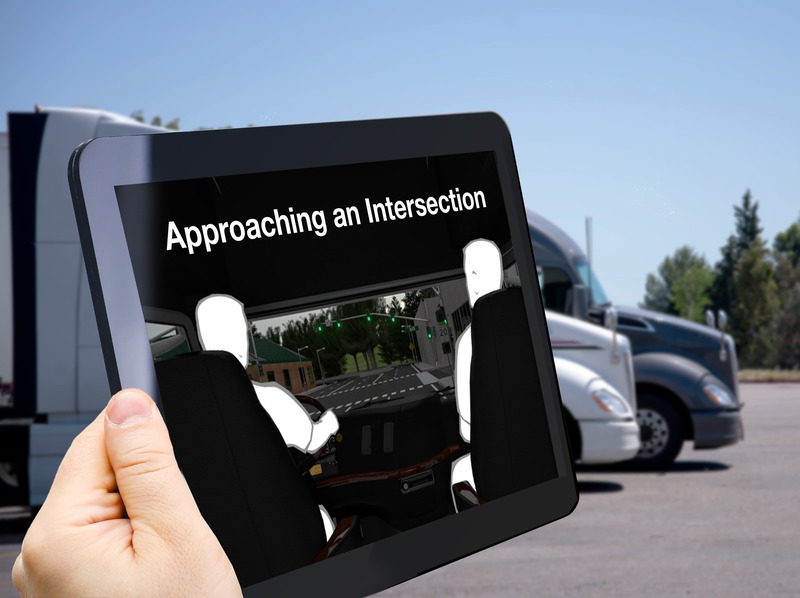 ITI is working closely with the Department of Transportation and the Commercial Vehicle Training Association (CVTA) to ensure that connection between the TPR and On Ramp, including secure data storage capabilities, is seamless and automatic. Along with providing ELDT training and instructor certification and meeting training provider requirements, ITI can help assess a fleet’s or CDL school’s overall ELDT readiness. For more information, please visit www.instructiontech.net. ATLANTA, GA (DEPARTMENT OF LABOR RELEASE) – After an investigation by the U.S. Department of Labor’s Wage and Hour Division (WHD), Postal Fleet Services Inc. – based in Saint Augustine, Florida – will pay $329,057 in back wages and benefits to 53 employees for violating requirements of the Fair Labor Standards Act (FLSA) and the McNamara-O’Hara Service Contract Act (SCA). WHD investigators determined Postal Fleet Services Inc. failed to pay drivers the prevailing wage rates required by the SCA for work they performed on a contract for the U.S. Postal Service to haul mail in Montgomery, Alabama and Tupelo, Mississippi. The violations occurred when the employer failed to pay drivers for time they spent working before their scheduled shifts sorting mail, and for time they spent driving company trucks from one city to another between their local routes. The employer also failed to pay employees the fringe benefits required by the SCA, and failed to maintain records of the hours employees worked, a violation of the FLSA. Bevill State Community College in Alabama is introducing a new truck driver training program at its Hamilton campus. The class is projected to begin April 29 and will be a seven-week program. The class can accommodate four students. Classes will run Monday through Thursday from 7 a.m. – 4 p.m., and on Fridays from 7-11:30 a.m. In Florida, another CDL program is amending its offerings to include weekend classes. North Florida Community College will begin a new class June 7 that will meet in the evenings on Fridays, Saturdays and Sundays. Classes were previously held Monday-Thursday. Prospective students must attend an orientation session in order to enroll. Additional orientation session information is available online. Toyota’s latest hydrogen-fuel powered semi truck was unveiled this week, and the company says it’s ready to be put to work. Toyota’s Project Portal, a project which applies zero-emission hydrogen fuel-cell technology to commercial trucks, has been around since 2017. But it wasn’t until this year that project directors were confident enough send their hydrogen-fuel powered trucks out into the world. The hydrogen-fuel powered trucks were developed with help from Kenworth and the first fleet of 10 are scheduled to debut at various trucking companies across the Los Angeles, California area by the end of this year. Four of these trucks will operate out of Toyota Logistics Services, where they will help move Toyota vehicles and products between ports in LA and Long Beach, three will be operated by UPS, two will be operated by Total Transportation Services, and one will go to Southern Counties Express, all in the Los Angeles area. These zero-emissions semi trucks utilize a hydrogen fuel-cell powertrain, which converts compressed hydrogen gas into electricity and emits only water. This, combined with a battery, gives the big rigs a range of just over 300 miles, which Toyota says is “about twice the average distance a truck of this kind can expect to travel in a single day,” reported CNet. Shell says it plans to construct two major hydrogen-fueling stations in California, in addition to the two already standing, in order to help make these zero-emissions trucks a reality and Toyota says that it plans go even greener by replacing all of its trucks, tractors, and forklifts with its own hydrogen-fueled versions, which are already in production, eliminating carbon-dioxide emissions at its Port of Long Beach facility by 2050. A Pilot travel center in New Jersey has been shut down “until further notice” after catching fire late Monday night. The fire began at around 11:15 p.m. on Monday, April 22nd in Bloomsbury, New Jersey. In the meantime, the company has advised travelers in the area to use a nearby Pilot Travel Center located less than 7 miles away in Clinton, NJ. The incident is still under investigation by the New Jersey State Fire Marshal’s Office.